I was born on the East side, and I have been a Detroit resident for most of my life. Most of the years I have spent in Detroit have been in the region that is now the 4th District. I have been a continuous life-long resident of Michigan. Professionally, I have been an educator for over 20 years. 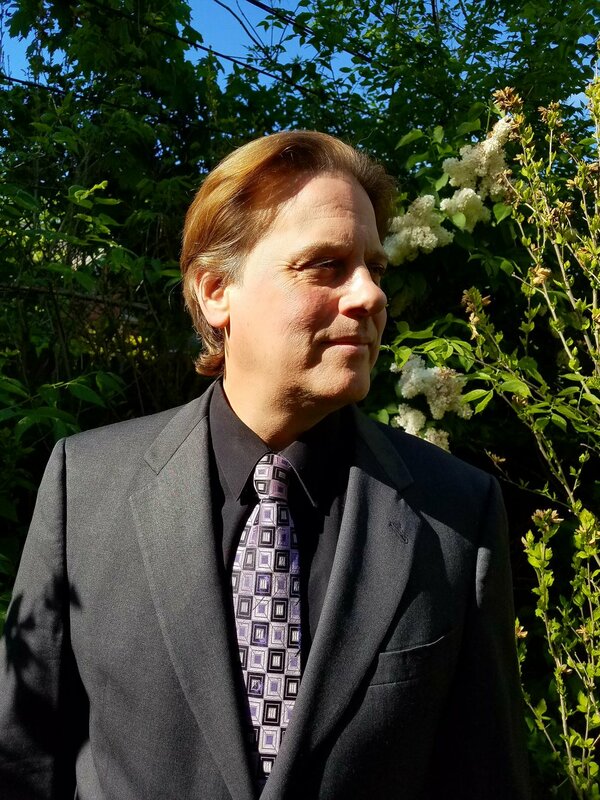 Currently, I work as a physics and math professor at Wayne County Community College, and as an astronomy and physics instructor at Macomb Community College. I also substitute teach in a few local school districts, including schools in Detroit. I received my B.S. from Western Michigan University in 1985, with a double major in Physics and Philosophy and a minor in Mathematics. I earned an M.A. in Physics from Western two years later, and an additional graduate degree from Wayne State University in 1999. This is not my first time running for office. I have been a candidate for a variety of positions, including my 2013 campaign for City Clerk and my 1996 effort to be elected to the Detroit City Council in which I received an endorsement from the Detroit News. Scotty (to the right of the lectern) with the Morningside Community Executive Board. Note: Morningside does not endorse any candidates, and none is implied here. I am a current member and former Vice President of the MEC neighborhood patrol. I have been a member at large of the Morningside Community organization since 2013. I was on the 2013 AFT-2000 election committee, and remain an AFT member in good standing. I was elected to the Wayne State University Student Council in 1999. 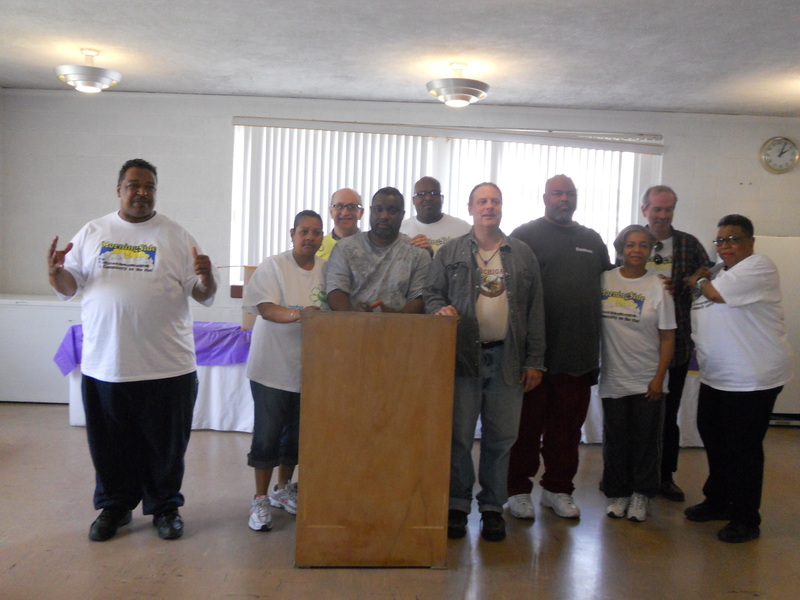 I also volunteer for local actions for community improvement including the Motor City Makeover and Angels night. 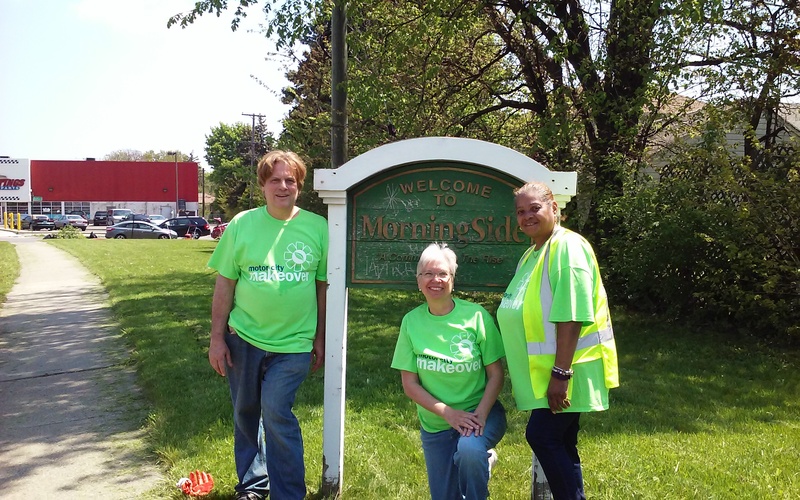 Scotty and MorningSide residents at Motor City Makeover 2017. * Note: MorningSide does not endorse any candidates, and none is implied here.